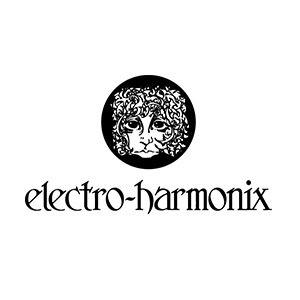 Founded by Mike Matthews in 1968 in New York City, Electro Harmonix has grown to become one of the biggest pedal brands in the world. The companies first pedal was the LPB-1 boost, which helped to push guitar amps to their limits. This was quickly followed by the Big Muff Pi which replicated the tone of Jimi Hendrix and Rolling Stones records and is still one of the most popular pedals in the world today. Electro Harmonix produces some of the funkiest, filthiest, freshest effects on the market today. From the legendary Big Muff Pi to the funkalicious Q-Tron, EHX are everywhere. With some of the most iconic pedals ever made in their range and recent releases like the Soul Food and B9, Electro Harmonix won't be going anywhere anytime soon. Whether you're looking for a modulation, delay, fuzz/distortion or an octave pedal, Electro Harmonix has got a pedal for everybody. Here at GAK, we are proud to stock a large selection of EHX pedals and have in-store specialists on hand to answer any of your questions. If you have any inquiries about EHX products, do not hesitate to contact one of our team by calling 01273 665 400. The powerful, perfect solution for both practice and performance. Provides you with 720 seconds (12 minutes) of stereo recording time. Make quick fixes to your bass tone. The ultimate distortion pedal for bass players. Modified to cater to the requirements of bass players. Features a collection of awe-inspiring effects. Takes you to church with ambient true stereo reverbs. The newest delay from the Memory Man family. Foot Control for the Electro Harmonix 22500 looper. For easy on-stage access to bank up/down. Foot control for EHX 8-Step Program.. Expands your 8-Step Program to 100 storable presets. Box opened, manual slightly tatty pedal in perfect condition. The legendary Big Muff Pi pedal. Offers the same legendary original sound but with added effects and true bypass. Colour your tone with the Electro Harmonix Crayon. Compact, flexible pedal that delivers powerful tone shaping capabilities in a rugged pedalboard-friendly package. Dual-output design gives hands-free control of two functions or two separate devices from a single source.